Ceri has updated the Offers page, adding dozens of tempting new bargains, including lots of Network bargains from The Hut, who are turning out to be a retailer well-worth keeping and eye on; and an eighteen-disc Carry On... DVD box set, for only £46.97, from Amazon. 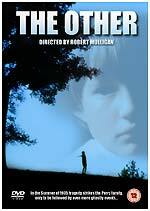 Eureka will release Robert Mulligan's 1972 horror gem The Other on April the 17th. The 20th Century Fox film, about nine-year-old twins growing up on a Connecticut farm in the 1930s, is rarely-seen, but well-remembered. The film features renowned acting coach Uta Hagen in a rare role in front of the cameras, Star Trek - The Next Generation's Diana Muldaur, and, in a small role, the late John Ritter. Eureka's disc presents the film in full-frame 4:3 format. It's a pretty good-looking transfer, although lightly flecked with film and negative dirt. The audio is a Dolby Digital 2.0 track, at 192kbps. It's a DVD-5 disc, coded for all regions (with PAL video). The framing looks OK, but may be missing some peripheral picture information. The disc features an original theatrical trailer (also in 4:3 format); an image gallery. There are also two interesting PDF files: one featuring the film's continuity and dialogue script (rather worryingly labelled "WIDE SCREEN"), and one featuring the film's music cue listing. Neither are documents the public usually gets a peek at, and so their inclusion here is especially noteworthy. The film's score is by Jerry Goldsmith. A lot of his score was ditched during editing. Cues from the score were featured on the 1997 CD for The Mephisto Waltz. Buena Vista Home Entertainment has officially announced the DVD release of The Chronicles of Narnia - The Lion, The Witch and the Wardrobe, which is due on April the 3rd. There are two versions: a single-disc version, and a two-disc version. Disc one of the two-disc set will feature the film, two commentaries (one by the filmmakers, and another by the "director and kids", Fun Facts and bloopers. Disc two will feature various featurettes, titled Creating Narnia - Behind The Scenes; Chronicles of a Director; The Children's Magical Journey; Evolution of an Epic ("in depth" features on C.S.Lewis - One Man's Mind, Cinematic Storytelling, Creating Creatures, Anatomy of a Scene: The Melting River); Creatures' Lands and Legends (hosted by Mr Tumnus); Creatures of the World; Explore Narnia and Legend in Time. As is usual for BVHE, no technical spec's were announced. Neither was the RRP, which is believed to be £24.99. Right Entertainment are releasing "digitally restored" collector's editions of three Gordon Murray series, Trumpton, Camberwick Green and Chigley on the 27th of March, the 24th of April and 22nd of May, respectively. Each thirteen-episode series has been "fully restored using state-of-the-art technologies reproducing the original broadcast quality of the colour and sound", and will feature bonus material: an interview with Gordon Murray on Trumpton; "the story of the restoration" on Chigley; and the Windy Miller Quaker Oats commercials on Camberwick Green. 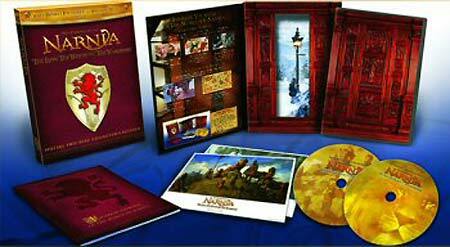 Each disc has an RRP of £14.99. Considering that that's two or three times the cost of the earlier versions, let's hope that the re-mastering is revelatory, and the bonus material more substantial than it sounds! 20th March Update - the Camberwick Green disc will now not feature the Quaker Oats adverts. A three-part science fiction miniseries created by Bryan Singer and Dean Devlin about the Bermuda Triangle, The Triangle, will be released on DVD by Momentum on April the 10th. The series, aired in the US at the end of last year, on the Sci-Fi Channel, and will be shown here by the BBC in March or April. It stars Eric Stoltz, Catherine Bell, Bruce Davison, Lou Diamond Phillips and Sam Neill. Apparently "the production is undaunted by the perceived confides of the medium". Ahem. It features more than eight-hundred effects shots supervised by Oscar winner Volker Engel (Independence Day). The double-disc set will apparently be "presented in limited packaging". 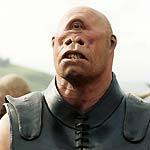 The press release didn't reveal the technical specifications, or the RRP, but does list the bonus material: a twenty-minute Sci-Fi Inside - Making The Triangle featurette, and about a hundred minutes of cast and crew interviews (TBC).